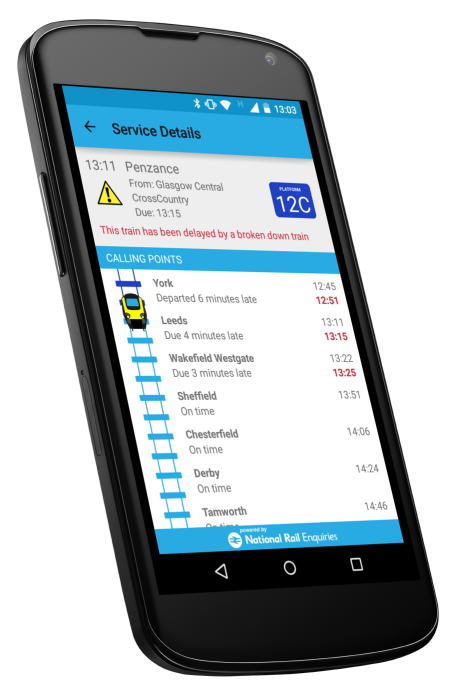 Fasteroute | National Rail live travel information. 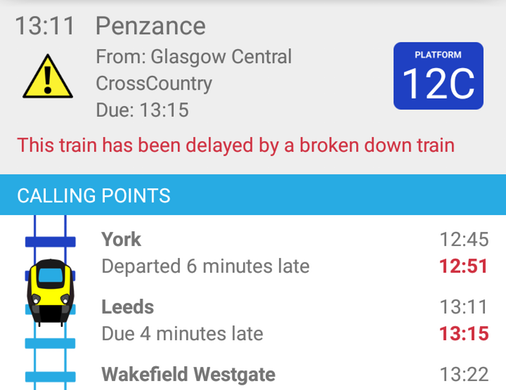 National Rail live travel information. Simple and easy to use. Displayed beautifully. 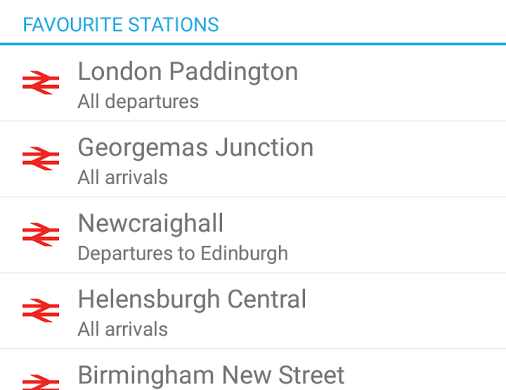 Search for a particular train station. 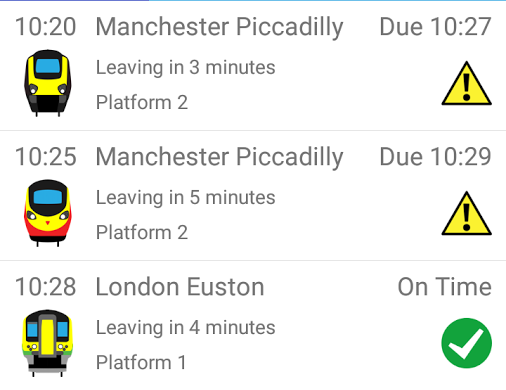 Know which platform to go to when you get there along with how long until your train departs. 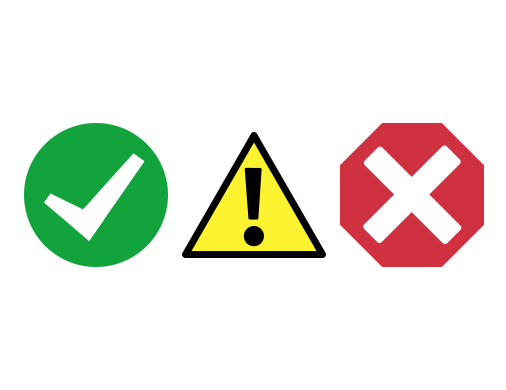 Different icons for the various train operating companies, so you know what colour train to look out for. 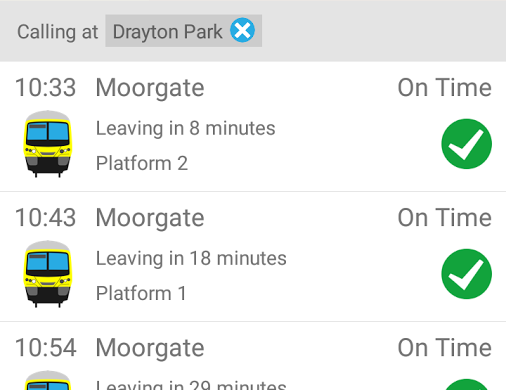 See at a glance if your train is on time, delayed or cancelled. 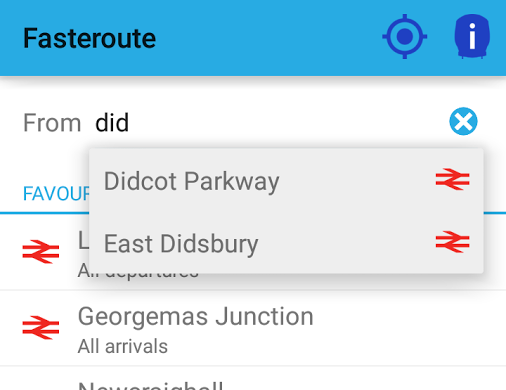 Filter trains to only see those that stop at a particular station. 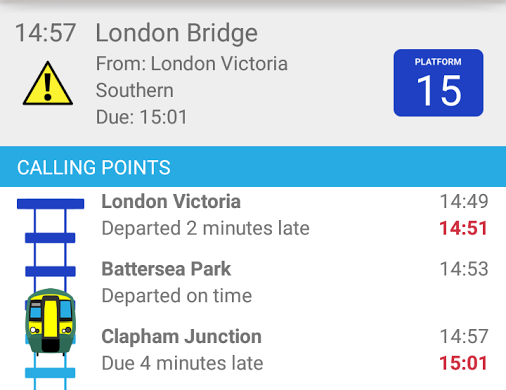 Follow your train in real time and see where it stops at. 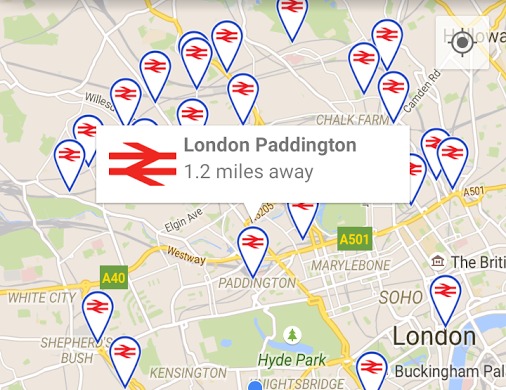 Easy access to your favourite stations and filtered train services. See the reason why your train is delayed.